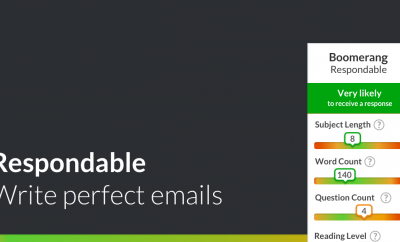 At the Litmus Live event today, a Litmus Microsoft partnership was announced to improve Outlook email experience. 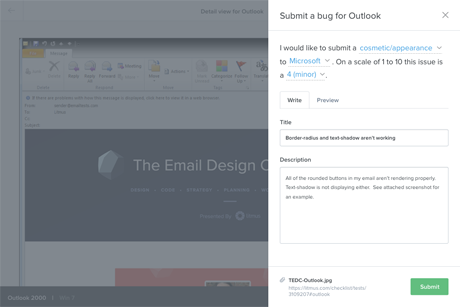 The goal is to have Litmus act as the feedback channel to directly report to the Outlook team what render issues email developers are experiencing when coding html emails for specific Outlook clients. To introduce the announcement, Caitlin Hart, Program Manager for Outlook, joined the Litmus crew on stage this afternoon in Boston. Litmus Microsoft partnership: what’s involved? Until the feedback loop has been launched, Litmus users can send bugs to outlook@litmus.com. I must applaud this move by Microsoft, as the non webmail client, Outlook for desktop has used the Word render engine ever since Outlook 2007. This (and in lesser extent, other email clients by Microsoft) has been a hassle for many email designers and coders over the years. 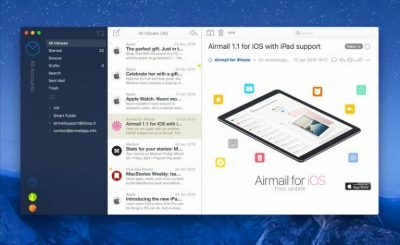 With mobile on the rise, mobile Outlook email client apps have surfaced, which have performed better compared to the desktop counterpart. The fact that they are now stepping up to the plate and are actively seeking feedback from the email marketing community, especially the email coders who run into bugs, is admirable. No other big name email provider has done anything similar in recent times. To solve a problem, you first have to admit you have one. A proper first step by Microsoft and the Outlook team, and I believe with all the email design and coding knowledge involved in the email marketing community that is connected to Litmus, the partnership will be a succesful one. Full details about the Litmus Microsoft partnership can be found on the official page here.